It’s the flavour of the moment and although it may seem like something of a new phenomenon here in the UK, Street Food actually has a long and established history. When I visited Pompeii, which was destroyed by Mount Vesuvius in 79AD, the guide told us excavators had not found much formal dishware but instead plenty of small grilling vessels (like barbecues), indicating that people were eating-and-running on the go even then. In the UK, Street Food is mentioned in records that go back to the Domesday book with street food vendors selling pies and eel catchers along the Thames selling cooked jellied eels, traditions that continue to this day. 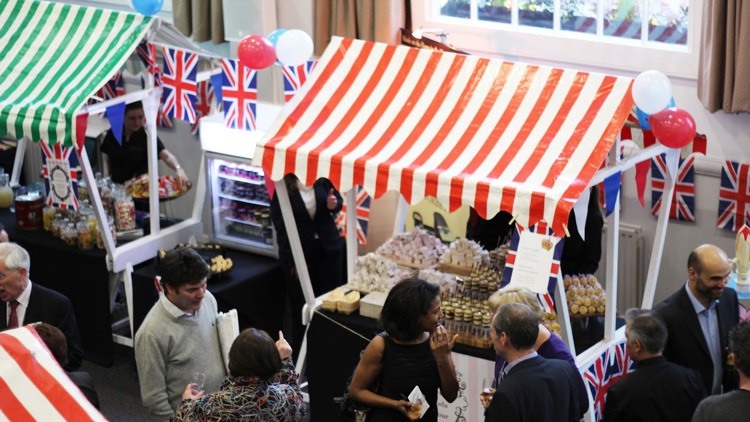 At our recent networking event we demonstrated Street Food is long established throughout the Commonwealth too. The Jubilee year celebrations gave us the opportunity to showcase our chef’s talent and how Street Food is a favourite around the world. Wherever people gather there is food and city living has always created a demand for convenience. Street Food is bang on trend with my gourmet predictions for 2012 where outdoor cooking and international flavour are the up and coming ‘ins’ for the year. People are moving away from the ‘full-on’ sit down meal experience. I’m guessing that in a recession it may seem like too much of a luxury, whereas eating outside and standing is a more accessible ‘treat’. Plus did you know there are no calories in food eaten whilst standing (remember you read it here first)! We understand what our customers’ want – the rich, interesting flavours of freshly cooked, authentic dishes from around the world, which offer a moment away from the strains of the day. Our pop-up Street Food offer delivers precisely that. Being independent means we are not constrained; today’s idea can be tomorrow’s lunch. Take a look at what our team have cooked up in our Commonwealth of Street Foods! And if you’d like to hear and see more, we’d be delighted to arrange a Street Food tasting.